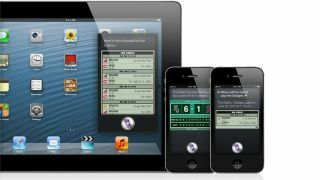 iOS 5 brought many sweeping changes to the iPhone and other iDevices. Twitter integration, alternate routes in the Maps app, tweaked iMessages and wireless syncing over WiFi, all things that iDevice users were clamoring for. Now iOS 6 has arrived, full of updates that will surely have iPhone and iPad owners wondering how they lived without these helpful new features. As of today Apple's new mobile operating system is officially available. It doesn't matter if you were among the millions who pre-ordered the iPhone 5 or fifth-generation iPod touch. The iPhone 4S, iPhone 4, iPhone 3GS, iPad 2, new iPad 3 and fourth-generation iPod touch are all eligible for an update to iOS 6. We've assembled a list of the tweaks and new features that the iOS 6 update will bring to the mobile Apple experience. Brand new to iOS 6 is Passbook, an official Apple app that will track and store your airline boarding passes, movie tickets, retail coupons, loyalty cards (think Starbucks and grocery store discount cards), concert tickets, admission passes to sporting events and more. To keep hassle to a minimum, your iPhone will automatically display relevant passes on the lock screen, using location tracking to know where you are and what you'll need. That means that when you walk into the airport or a movie theater your ticket will be just a push of the Home Button away. Before iOS 6, this sort of ticket and coupon tracking was third-party app territory. Apps like CardStar and Eventbrite stored barcodes for most major loyalty cards and coupons, importing information using the iPhone's camera. Now that Apple is folding this technology directly into iOS 6, these guys will have to get more clever to compete. Goodbye Google Maps and hello Apple Maps, finally with turn-by-turn directions. Before iOS 6, Google Maps didn't provide those coveted turn-by-turn instructions, and iPhone users had to pony up for expensive third-party apps like TomTom if they wanted their iPhone to direct them around town. Now Apple is delivering a new mapping solution that provides spoken directions, as well as striking 3D photography that users can pan and zoom around in. However, you can bid Street View farewell, since that's a Google Maps feature. Enjoy your newfound exclusivity, Android users. iOS 5 introduced an awesome, much-needed tweak to the official Maps app: alternate routes. Users could finally choose from more than one route, allowing them to skirt traffic and steer clear of the freeway, if they wanted. However, the app still did not provide turn-by-turn spoken directions, leaving it behind the features offered by Android and Windows Phone map apps, or third party players on the iPhone. iOS 6 will bump up Siri's IQ a few a points. You'll now be able to speak to her in an even more colloquial fashion. For example, you could ask her to find well-reviewed films in your area, and she can respond by launching third-party apps such as Rotten Tomatoes. She'll also be able to post to Facebook and tweet on your behalf. It was the iPhone 4S that launched Siri, the talking digital assistant. While iOS 6 will upgrade her functionality, she won't be available on any devices that were previously Siri-less. Sorry iPhone 4 and iPad 2 users. Access to Zuckerberg's social network will be baked right into iOS 6, allowing you to share and post updates without having to actually open the Facebook app. You'll be able to share a picture you just shot from the Camera app, alert your friends to your location using Maps, and tell everybody how much time you just wasted on Angry Birds right from the Game Center. As mentioned, Siri will get in on this action too - you'll be able to ask her to post on your behalf.